A partnership with Moncton nanobrewery, Acadie-Broue, means that students will have the chance to taste their own creations on tap. 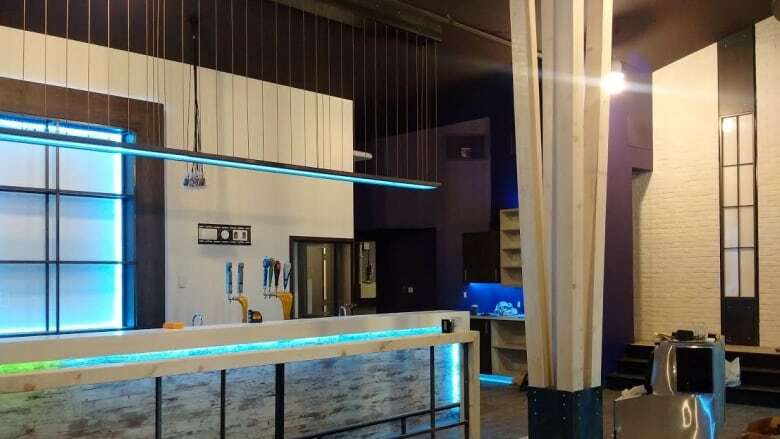 Le Coude, the University of Moncton's student bar, will be opening its doors again as a brew pub on March 17. A partnership with Moncton nanobrewery, Acadie-Broue, will give students the chance to taste their own creations on tap. Patrice Godin started the nanobrewery in 2010. The 10 different beers offered on his label all have names inspired by Acadian culture, such as Tintamarre and La Patente. Godin said he hopes to create beer influenced by the campus culture. 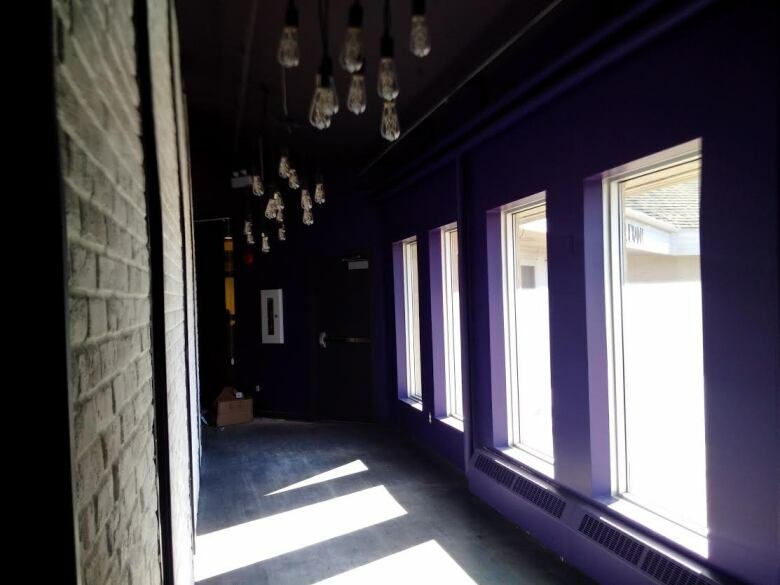 The future lounge space at Le Coude, the University of Moncton's student bar. (Suzanne LaPointe)"I will try to get the faculties involved, so I would like them to come up with beer names and beer styles that will be familiar with their own field of studies," he said. "So that's going to be the fun part, to brew new stuff with them and get influenced by the students." Godin said he brought up the idea of opening an on-campus microbrewery in 2008, but it wasn't until last year that someone from the university's student union, approached him to make the idea a reality. Pascal Haché, the student union president, said the reopening of the bar will have a positive impact on campus. "We were kind of without a bar for the past three years," Haché said. "We had something that was put in place as a temporary bar. We all know that on campuses, it's important to have a bar because it's not necessarily just a place to have a drink, it's also a place to sit down and discuss about society and projects." He stressed that although it is primarily a student bar, the community as a whole is welcome. "We really want the community to come and use the bar and be part of it," he said.